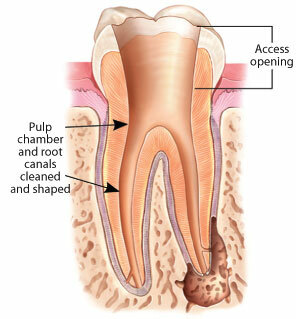 Root Canal Therapy in Melbourne Can Help Save A Smile & Stop the Pain! 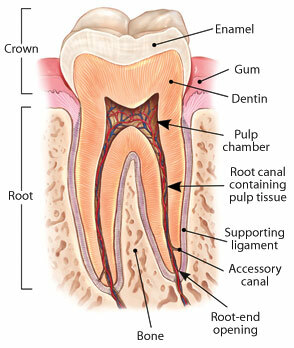 Every tooth has a central ‘living’ core made up of nerves and blood vessels. Sometimes this area can get infected. If the infection is left untreated, it can spread to the bone and cause painful abscesses or could even spread to other parts of the body leading to potentially serious complications. Root canal treatment aims to save the tooth by removing inflamed or infected nerve inside your tooth that is causing pain. 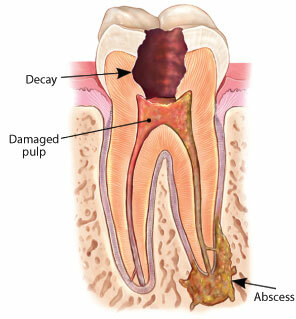 An infected, decayed tooth can be extremely painful and also cause swelling of the gums and cheek. Quick treatment can stop the infection from spreading to other teeth and also alleviates pain and discomfort. How would you know, if you need root canal treatment? Sensitivity to hot, cold or sweet food / drink. If you notice any one or more of the following symptoms please get in touch with us immediately. A swift step 1,root canal treatment can be the only difference between losing a tooth completely or quick relief and a saved tooth. Additional testing – Once a dentist has identified a suspect tooth, they’ll then perform additional testing such as radiographic assessment, percussion and vitality test. 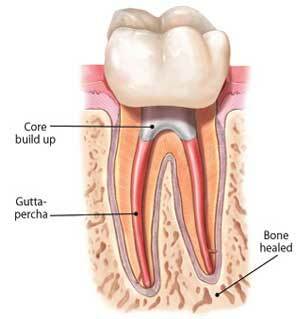 Our experienced Melbourne dentist will perform the root canal procedure by removing the infected pulp and nerve tissue, gently cleaning and disinfecting the canal .In the subsequent visit, root canal is further cleaned and then filled with special filling material(Gutta Percha).The tooth is then filled & rebuilt with a crown to prevent any further damage or fracture. 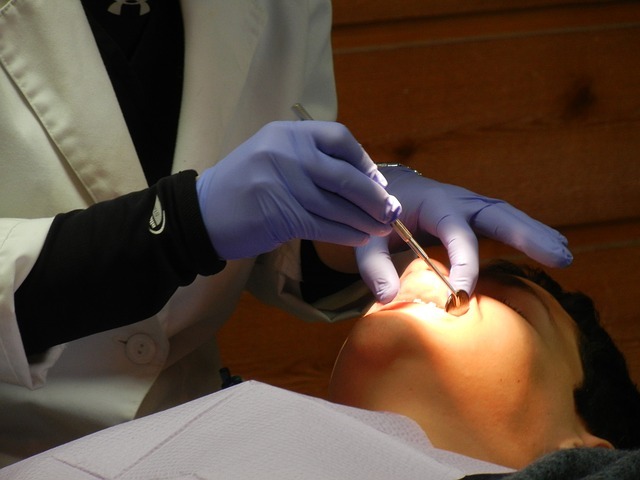 At our dental practice we use advanced rotary instruments to efficiently and quickly clean an infected root canal. This combined with the gentle approach, precision and experience of our dentist provides an overall comfortable experience for our patients from around Camberwell and Collingwood,Melbourne. If you suffer from dental anxiety, or have a low tolerance for pain, you can rest assured that your root canal therapy experience will be a completely painless and relaxing one. Thanks to sedation/sleep dentistry – pain-free root canal treatment is now a reality! We offer several types of sleep dentistry options to make sure you are relaxed throughout the procedure. We provide IV sedation, oral sedation as well as nitrous oxide. We take utmost care in ensuring that we do all we can to save your tooth. 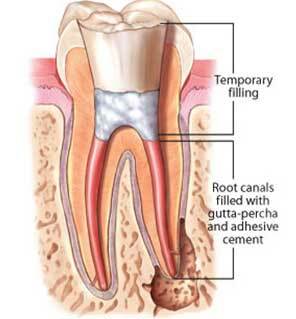 That is why we recommend root canal therapy and not extraction – not until it’s unavoidable. If you notice any one or more of the following symptoms we are just a phone call away!. We serve patients all over Melbourne, especially areas such as Deepdene, Murrumbeena, Chadstone, Mount Waverley, Glen Waverley, Caulfield, Vermont, Forest Hill, Blackburn, Collingwood and Camberwell.